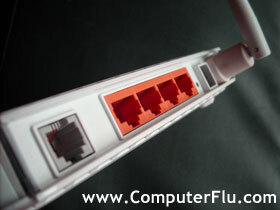 Need your Broadband Setting Up? Maybe you've just received your 'welcome box' from your internet service provider (called ISP for short), and you want it setting up. I do these all the time. No need to get bothered by filters and cables, get me to do it all for you. Or maybe you are switching from Sky to TalkTalk and need it setting up. Whether it's a wired router or a wireless one I can do it all. Just make sure that your 'switch on date' has passed, as some ISPs only switch it on at midnight. So if it's scheduled to be ON by the 5th, get me to visit on the 6th.